A PA native originally from Scranton, Thomas attended the University of Pittsburgh and balanced an extensive course load with a clinical rotation in one of the country’s largest trauma centers. He fell in love with New York City at a young age over the course of many family trips and finally moved to Brooklyn four years ago, transitioning from years of medical, hospitality and management experience into a career in real estate – initially as an assistant to a top-selling sales agent and now as a sales & rental agent himself at REAL. 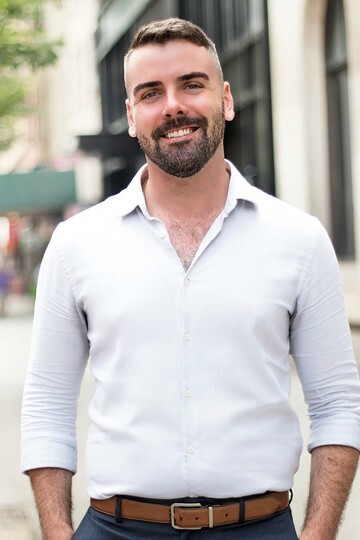 Thomas’ down-to-earth personality, passion for the city, and relationship-focused approach makes him invaluable to his clients during any real estate transaction from Brooklyn to downtown Manhattan. In his spare time his interests include fitness, cooking, design, and the arts. 3 BR at 308 COVERT STREET, #2.R. February 2019 by Soloman H.